Yukon Territory, in Canada’s north west, is one of the few natural havens on Earth where wildlife is not just surviving but thriving. Home to only 38,000 people, the population of moose, bears, caribou, and sheep (to name a few), far exceeds the human residents. The number of Australian travellers, photographers and wildlife-lovers visiting Yukon is increasing each year, and with good reason. Read on for three close-encounters of the wild kind you won’t find anywhere else. Only in Yukon can you encounter grizzly bears in their sub-arctic wilderness home. 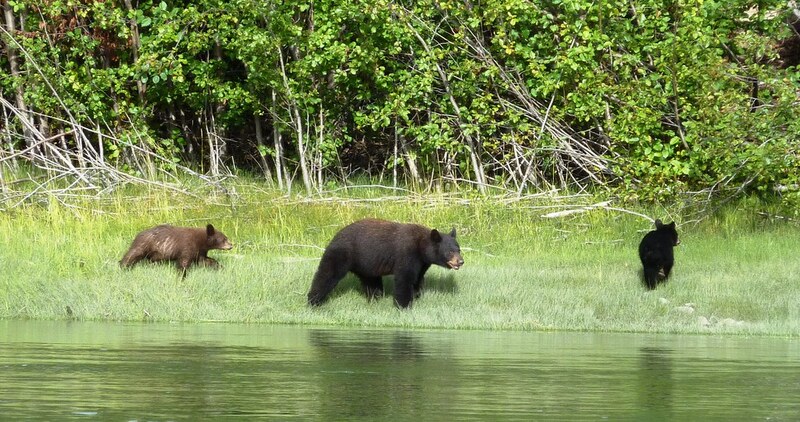 The Ni’iinlii’njik (Fishing Branch) Territorial Park in the Territory’s far north is one of Canada’s most pristine wilderness areas, its limestone caves, salmon runs and grizzly bears undamaged by civilization and the passing of time. Located in the Park, Bear Cave Mountain Eco-Adventures offers once-in-a-lifetime grizzly bear excursions, with professional guides providing safe encounters with breathtaking grizzlies and other wildlife, starting with a two-hour helicopter ride from Dawson City, with incredible views of snow-covered mountains, rivers and arctic tundra. Immerse yourself in the unique culture of the Vuntut Gwitchin First Nation, dating back thousands of years, and allow the serenity of this tranquil piece of heaven permeate your being and make you wish you could stay forever. Canada’s leading bird festival swoops into Yukon Territory in April, as thousands of trumpeter and tundra swans come home to rest, feed and breed. Each year, bird-lovers flock to Marsh Lake, where the Swan Haven Interpretive Centre is the festival hub for this spectacular phenomenon. Up to 13,000 swans fly over Whitehorse and the southern regions annually, signalling the end of winter, as they return to raise their young after spending the winter in the Canadian Pacific Coast region. 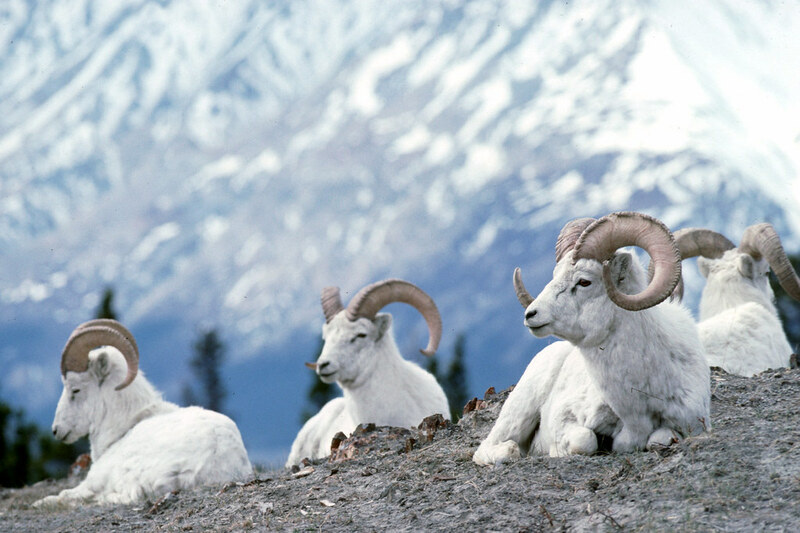 Yukon is a bird-lover’s paradise, home to more than 200 species of birds throughout the territory, including the Bald Eagle, Great Gray Owl, Yellow Rumped Warbler, Bufflehead, Northern Hawk Owl, Great Horned Owl, Boreal Owl, and Horned Lark. In addition to Swan Haven, key places to observe birds in the Yukon include the Albert Creek Bird Observatory near Watson Lake, Teslin Lake Bird Observatory, and McIntyre Marsh Bird Observatory. The whole of Yukon is a wildlife sanctuary; a place where the moose outnumber the humans two to one. The Territory boasts three national parks, six territorial parks and four Canadian Heritage Rivers, a haven for more than 165,000 caribou, 70,000 moose, 22,000 mountain sheep, 7,000 grizzly bears, 10,000 black bears and 250 species of birds. 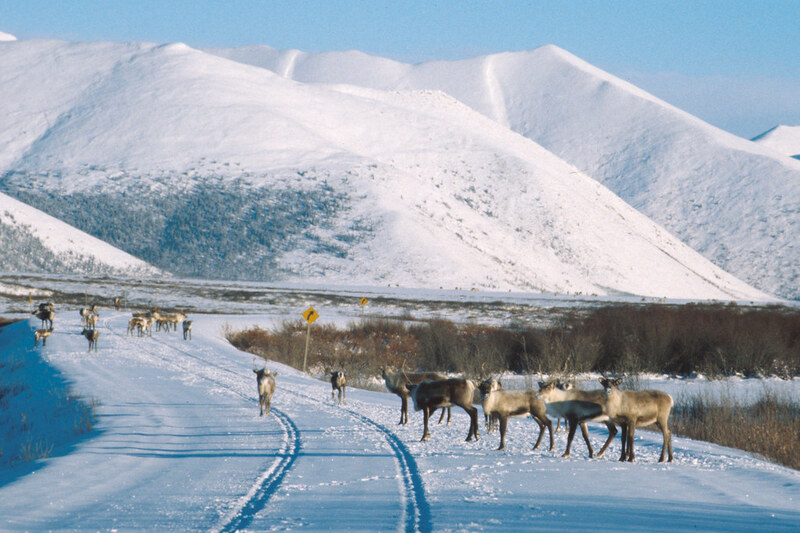 You’re in with a great chance of spotting wildlife meandering alongside the road and on the hiking trails, but for a fail-safe way to encounter these magnificent creatures, head to the Yukon Wildlife Preserve, where 700 acres of lush green hills, marshes, steep cliffs and flat-lands, are the perfect ecosystem for 13 species of northern Canadian mammals. We’re talking bison, moose, mule, deer, woodland caribou, elk, mountain goats, Canada lynx, and foxes, to name a few. Just 25 minutes from downtown Whitehorse, you can walk, ski, snowshoe or bike the five-kilometre viewing loop, or jump on a bus tour with a knowledgeable interpreter. However you choose to experience it, be prepared for wildlife encounters you’ll never forget.